Russia and Japan will begin preparations for Japanese Prime Minister Shinzo Abe’s 2016 visit to a Russian region with deputy foreign minister-level talks in February 2016, NHK news reported on Dec. 30. Russian Deputy Foreign Minister Igor Morgulov and his Japanese counterpart Shinsuke Sugiyama will discuss Abe’s visit at a meeting in Moscow in February, according to the report. Abe has not decided which Russian region to visit, according to media reports from Russia and Japan. 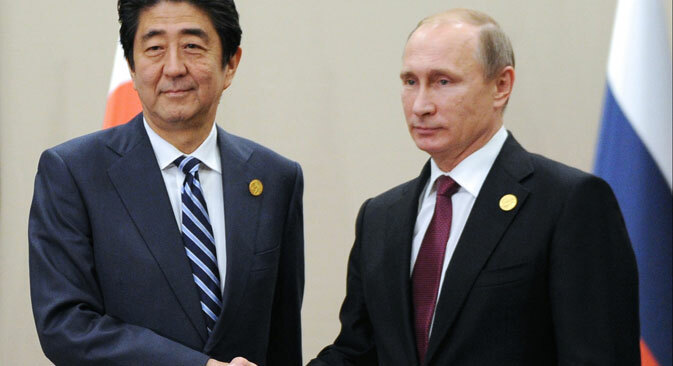 Analysts are optimistic that Abe’s visit will pave the way for Russian President Vladimir Putin to visit Japan. In 2015, Putin’s trip to Japan was put off indefinitely after the two countries failed to make progress in resolving the Southern Kuril Island territorial dispute.